DM for Hire - How do we get started? The first step in getting your group started in a game at 'Dungeon Master for Hire' is to pick which version and setting your group wants to play. Three versions and settings are available. 1) 5.0 - This is the most recent version which most people nowadays are using. Available races are: human, dwarf, elf, gnome, half-elf, dragonborn, tiefling, half-orc and halfling. Some races also have subraces,such as mountain dwarf or wood elf. Not in use as a race in my Dark Sun or Mystara campaigns are dragonborn and tieflings. They just don't exist in Athas or Mystara. Available classes in all settings are: barbarian, bard, cleric, druid, fighter, monk, mystic, paladin, ranger, rogue, sorcerer, warlock, wizard. bard, cleric, druid, fighter, monk, paladin, ranger, rogue, sorcerer, and wizard. The skills in 3.5 use a rank system. Each level you get ranks which are used to upgrade your skills. They also introduced 'feats' in this version. 3) OD&D - This is the classic 80's boxed sets, (Red, Blue, Green, Black and Gold), otherwise known as the 'Basic Rules'. Available races are: human, dwarf, elf, halfling. Available classes are: cleric, fighter, magic-user, thief, mystic. All dwarves and halflings are considered fighters in this version, and all elves are considered fighter/magic-users. any special quirks you'd like the character to have. This is the main campaign setting that I use, however other options (see above) are possible. Since this is the most out-dated campaign that I use, the information can be hard to find, so I have provided a lot of information below on the different countries and cultures/races involved. Available races: human, dwarf, elf, half-elf, half-orc, halfling, gnome. There are no Dragonborn or Tieflings in the Mystara setting. The focus of the Forgotten Realms setting is the continent of Faerûn, part of the fictional world of Abeir-Toril, usually called simply Toril, an Earth-like planet with many real-world influences. 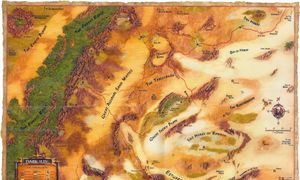 Unlike Earth, the lands of the Forgotten Realms are not all ruled by the human race: the planet Toril is shared by humans, dwarves, elves, goblins, orcs, and other peoples and creatures. Technologically, the world of the Forgotten Realms is not nearly as advanced as that of Earth; in this respect, it resembles the pre-industrial Earth of the 13th or 14th century. However, the presence of magic provides an additional element of power to the societies. There are several nation states and many independent cities, with loose alliances being formed for defense or conquest. Trade is performed by ship or horse-drawn vehicle, and manufacturing is based upon cottage industry. 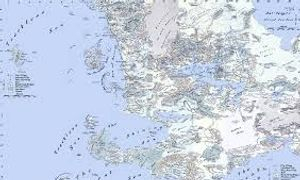 Toril consists of several large continents, including Faerûn, the western part of a continent that was roughly modeled after the Eurasian continent on Earth., which is the main setting of a Forgotten Realms campaign. Religion plays a large part in the Forgotten Realms, with deities and their followers being an integral part of the world. They do not have a passive role, but in fact interact directly in mortal affairs, answer prayers, and have their own personal agendas. All deities must have worshipers to survive, and all mortals must worship a patron deity to secure a good afterlife. A huge number of diverse deities exist within several polytheistic pantheons. Available races are: human, dwarf, elf, gnome, half-elf, dragonborn, tiefling, half-orc and halfling. Some races also have subraces,such as mountain dwarf or wood elf. 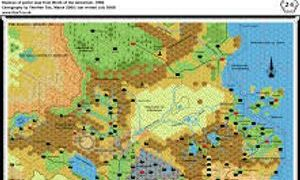 Here is an informational video on the world of Forgotten Realms (Toril) to give you an idea of the setting. Dark Sun is played on the fictional planet Athas. Novels and source books largely take place in Tyr Region though other areas are described for a play such as the Ringing Mountains and the Jagged Cliffs. The game likely takes place on a single continent, but the exact landmass configuration of the planet or the existence of other continents is unknown. Races in Dark Sun are limited to: humans, dwarves, elves, half-elves, half-giants, half-orc, halflings, muls, and thri-kreen. There are no gnomes, dragonborn or tieflings in Dark Sun. Here is an informational video on Dark Sun to give you an idea of the setting. Game Version: 5e, 3.5 or OD&D? Setting: Mystara, Faerun, or Dark Sun? After you have submitted this information, the DM can design a character for you for play and this will save us all some time and you some money. For those that want to totally make up their character every step of the way during the first session, this is fine, but it's on your group's time.